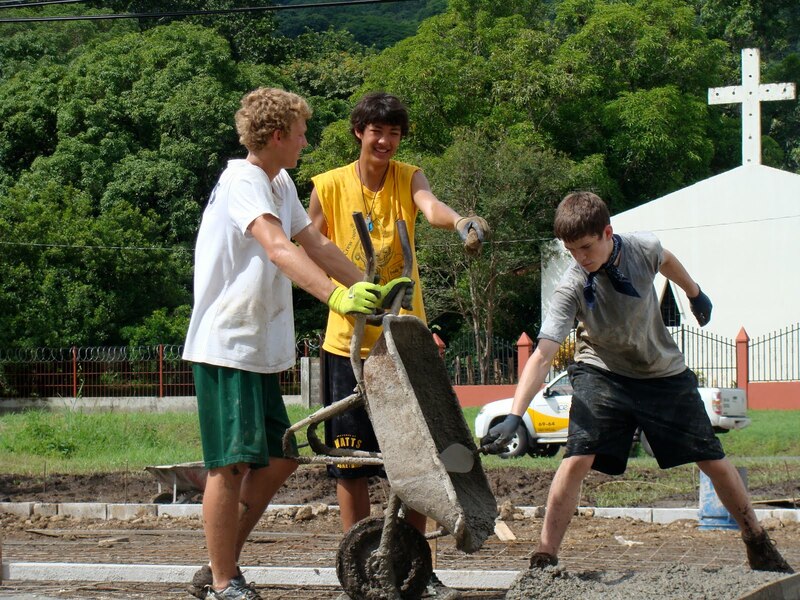 Outside the city of Nicoya, on the peninsula bearing the same name, in a community too small for any google maps, a team of boys basketball players and coaches and coaches wives from the Shoreline/ Lake Forest Park area near Seattle ventured to complete a Courts for Kids project. The team worked long hours but weren’t too exhausted to play soccer games against the local boys every night. The team had to endure monsoon rains, but instead of getting down, took it as an opportunity to get a good shower! Our team worked, battled, and clawed their way to completing the court in time. This project was a partnership with a Peace Corps Volunteer, the group of basketball players and coaches, and the local community. Together we helped create for the youth (who make up 48% of the population of just over 1,000), one of the only safe places for the kids to play. Currently, there is a nice soccer field, but the owner charges the kids 10,000 Colones (about $20) per hour to play on it. 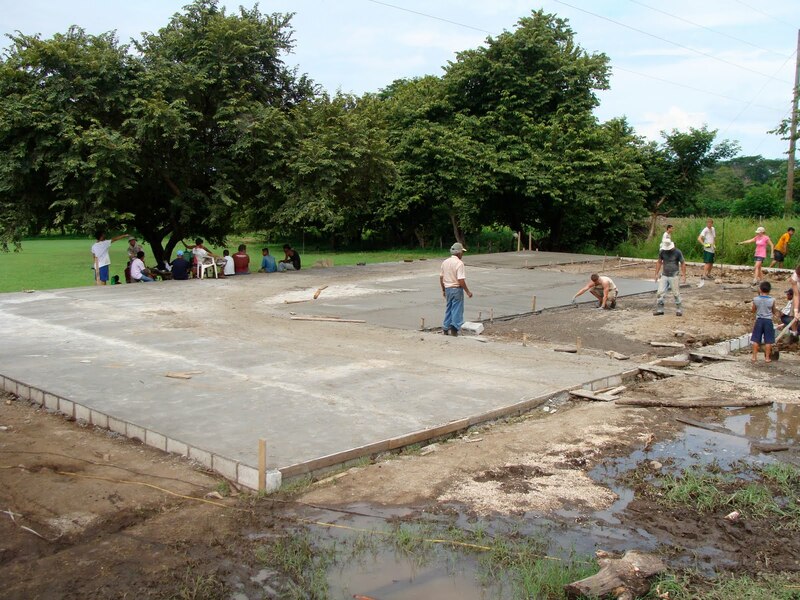 As you can imagine, not many, if any, kids in this rural Costa Rican community can afford this and so the soccer field is relatively unused. The community estimates that this court will be used by 85% of the population. 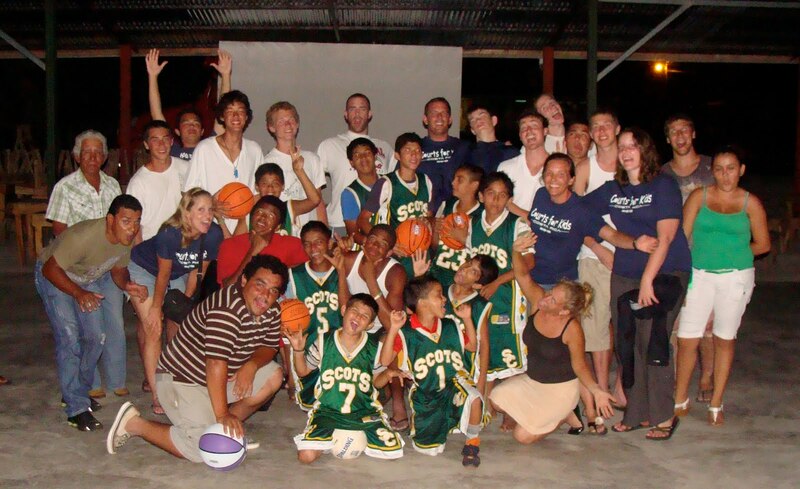 To check out a great day by day glimpse into this project, check out the blog that the coach’s wife, Amber, kept during the trip at www.hoopsincostarica.blogspot.com. I wanted to let you know what a pleasure it has been working with the guys this week. I’m sure that you are enjoying the photos, but they don’t paint the whole picture. What you don’t see is the intense heat and humidity that beat down on these guys every day, then add in the afternoon rain which has left us soaked to the bone after every work day. I would like you to know that these guys have more than risen to the challenge and have been working like hardened men. They are strong and steady and have learned to be proactive workers who see what needs to be done and do it. They have worked through nagging pain and injuries (nothing serious), but continue to remain optimistic and never complain. I do not have the words to express how proud I am of these guys.